Thank you for your purchase. Your transaction has completed, and we are sending you an email containing the receipt for your purchase. 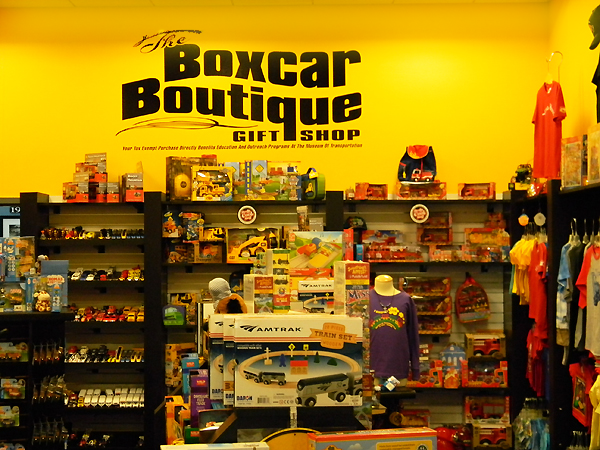 PLEASE VISIT THE BOXCAR BOUTIQUE AT THE MUSEUM AS WELL AS OUR FABULOUS COLLECTION & SPECIAL EXHIBITS, PLUS PARTICIPATE IN OUR MANY FAMILY ACTIVITIES. VISIT THE NATIONAL MUSEUM OF TRANSPORTATION SITE FOR MORE DETAILS.